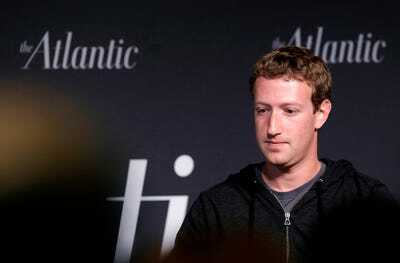 Win McNamee/Getty ImagesFacebook CEO Mark Zuckerberg gave investors reason to worry on Wednesday. In its fourth-quarter earnings report Wednesday, Facebook reported a 5% drop in daily usage of its service. Company CEO Mark Zuckerberg assured investors that this was actually a good thing, saying the Facebook was focusing on promoting “meaningful interaction” not maximizing the amount of time users spent on the site. But the drop follows a host of negative publicity for the company and growing concerns about how its site may be promoting addiction and depression. Facebook’s discussion of the decline in usage raised several red flags – among them, that the company plans to make further changes to its service that could reduce usage further. How much time users devote to Facebook is a big concern, because advertisers – whose spending comprises nearly all of the company’s revenues – determine where to place their ads in part based on where their target users spend their time. Facebook investors had good reason to be concerned about the sizeable drop in usage of the social network in the fourth quarter – no matter how reassuring CEO Mark Zuckerberg tried to be about it. In announcing its holiday period results Wednesday, the tech giant revealed that usage of its service declined by an average of 50 million hours a day. That’s a 5% drop, Zuckerberg noted on a call with investors and analysts, linking it to recent changes the company made to what it shows users in their news feed. But Zuckerberg argued that the decline was actually a good thing. The company is focusing on promoting meaningful interactions with users, not on the gross amount of time they spend with its service, he explained. Zuckerberg may be right that by giving more prominence in users’ news feeds to posts from their friends and family members and reducing the number of videos and news stories from publishers and other organisations, Facebook may become more valuable for its users. Even if users spend less time overall with the service, they may end up interacting with their friends and family members on it more often. Investors seemed mollified by such assurances. After falling more than 4% in after-hours trading immediately following the release of the company’s earnings announcement, Facebook’s shares rebounded during the call. After it was over, the stock was up 1%. But shareholders may have some second thoughts after they parse through the comments Zuckerberg and his fellow executives made on the call. That’s because they raised several red flags. One big one has to do with how Facebook – or investors – should evaluate whether its new focus is working. Measuring the time users spend on the site is fairly easy. It also has the benefit of being something that can be directly compared across sites and other forms of media. One big indication for advertisers and investors of how important Facebook has become is the degree to which consumers have shifted their time away from newspapers, books, magazines and watching traditional television and toward social media. But it’s completely unclear how the company plans to measure the amount of “meaningful interaction” its users engage in – something it said it plans to track on and off its service. Facebook has already talked with users to get a sense of what they find meaningful and is using that to guide its decisions about what to show in the news feed and how it designs future products. But it’s uncertain whether the company will share its measurements on “meaningful interactions” with the wider world or whether outside organisations will be able to track such things on their own – much less compare them with similar data from other sites and media outlets. Another big concern is that it’s unclear what exactly led to the drop-off in usage during the final three months of 2017. Was it due entirely to the recent changes Facebook made on its own or might it have been caused by outside factors that could reflect a problem in Facebook’s business? When asked specifically about that on the call, Zuckerberg ducked the question, instead simply repeating what he’d said earlier about the changes the company made to its service. 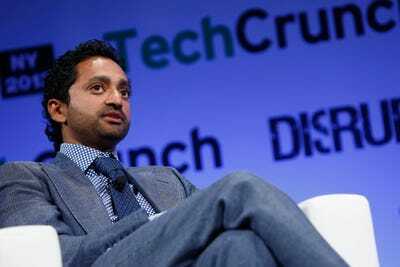 Brian Ach/Getty Images for TechCrunchChamath Palihapitya is among the former Facebook officials and other tech insiders who have criticised teh company for encouraging social-media addiction. But there’s reason to believe that the decline wasn’t entirely due to Facebook’s own moves. For the better part of the last year, the company has been getting negative press about how its service was manipulated into spreading propaganda and fake news. Meanwhile, a growing chorus of researchers, parents, and tech insiders, including several prominent former Facebook executives, have been raising concerns that the company’s service is leading to addiction and depression and have been cautioning people to curtail their use of it. There’s some indication that all this negative sentiment was already having an effect on Facebook – even before it tweaked its news feed. A recent survey by Baird Equity Research, for example, found that about half of all users across all age groups reported that they used Facebook less often to connect with friends and family members. The reported decline was particularly pronounced among those aged 18 to 34. Regardless of whether the decline in usage came as a result of all this bad news or the changes Facebook made to its service, there’s a final reason to be concerned about it – Zuckerberg himself warned there are more changes to come. Facebook has only just started making changes to its web site as part of its effort to play down what it calls “passive” consumption and to promote “meaningful interaction.” And additional tweaks to the news feed or other services could further decrease usage. “It’s not just one news-feed change that happens overnight,” Zuckerberg said. Given all the backlash Facebook has received of late, it’s not a surprise that the company is making these changes. It had to do something to show it was addressing the concerns about fake news and social media addiction or risk being forced to do something by regulators. The problem for Facebook is that its business depends almost entirely on advertising. And advertisers determine where to spend their money at least partially based on where their target customers are spending their time. If consumers are spending less time with Facebook, there’s a good chance advertisers will eventually spend less money there. And that’s going to be meaningful to investors – no matter how much spin Zuckerberg puts on it.